Starting with an overview of the board, the snowy camo’ style will certainly find its place in a white system build, with several companies now offering a huge range of white components. Built into the motherboard are 2oz copper inner layers, helping to deliver lower temperatures and better energy efficiency to aid with overclocking. 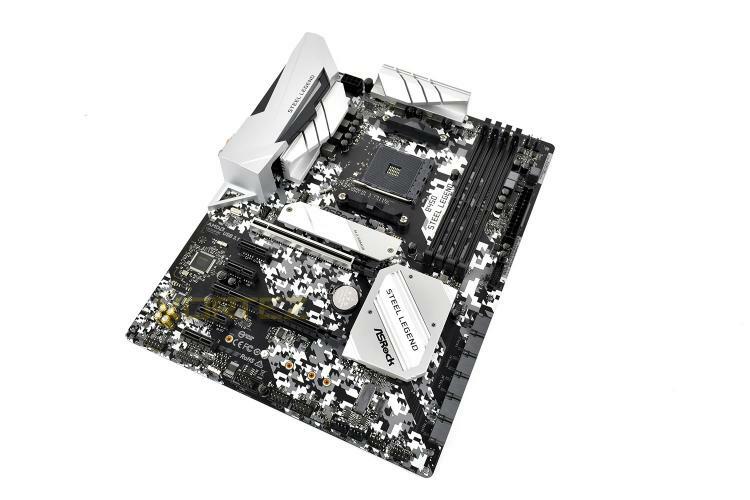 The motherboard conforms to the ATX form factor, measuring in at 305mm x 244mm. 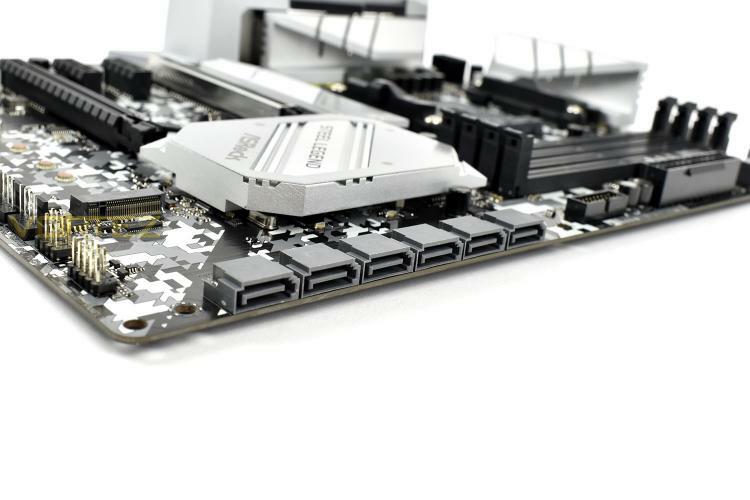 Zooming into the CPU socket and surrounding heatsinks, the power phase delivery zones are well-served by two large heatsinks, finished in a very light silver colour to complement the colour scheme. ASRock have implemented premium 60A power chokes to provide an enhanced and improved Vcore to the AM4 CPU. 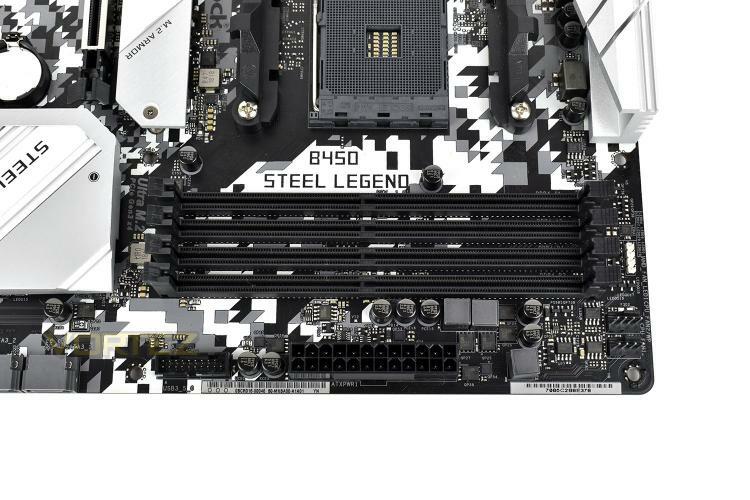 To the right of the AM4 socket are four DDR4 DIMM slots, supporting up to 64GB of 3533MHz memory. We also find an RGB header, front USB 3.0 and a pair of PWM fan headers in this corner. Directly below the CPU is the first of two M.2 slots, capable of supporting both SATA and NVMe drives up to 80mm in length. 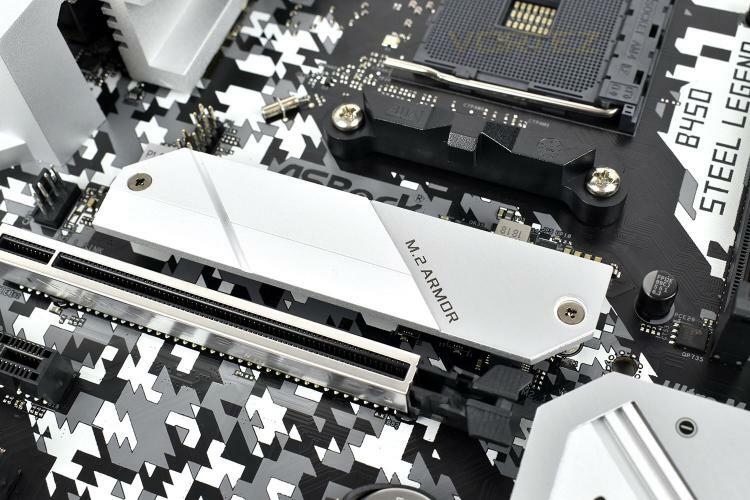 The M.2 Armor aims to reduce NVMe temperatures to provide optimal performance for longer. 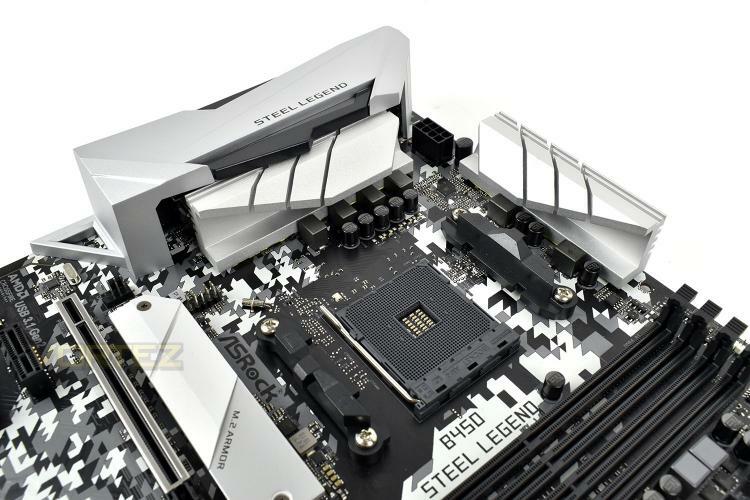 Alongside M.2 storage, the Steel Legend offers a row of six SATA 3.0 ports. To see them laid out across the board like this is unusual but may help with cable management in smaller cases.